2. Promo runs from February 1, 2019 to February 28, 2019. 4. 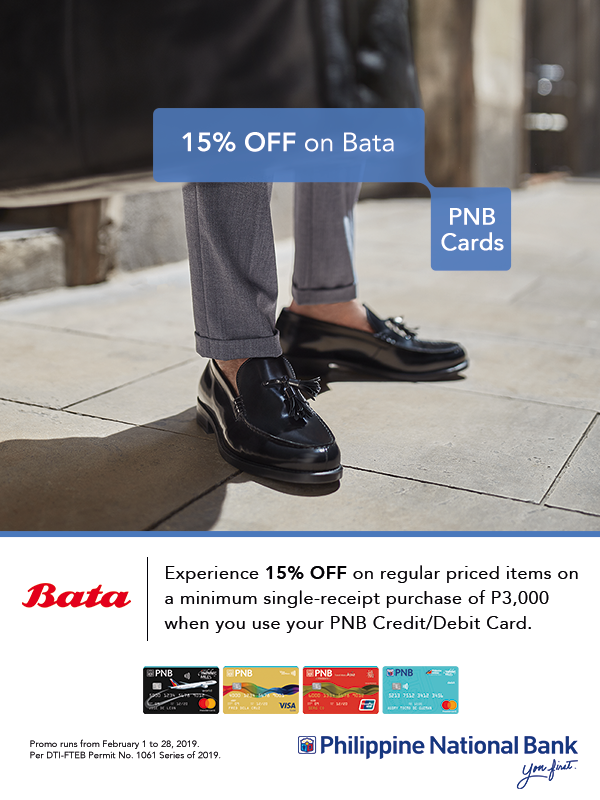 Promo can be availed at participating Bata stores. Click here to view list of participating Bata branches. Per DTI-FTEB Permit No. 1061 Series of 2019.